This week we sat down with Veronica Kainz, MuleSoft’s Creative Director. She leads the creative vision for the brand, and was recently awarded the “Muley for Life” award for being an ambassador of MuleSoft’s core values. 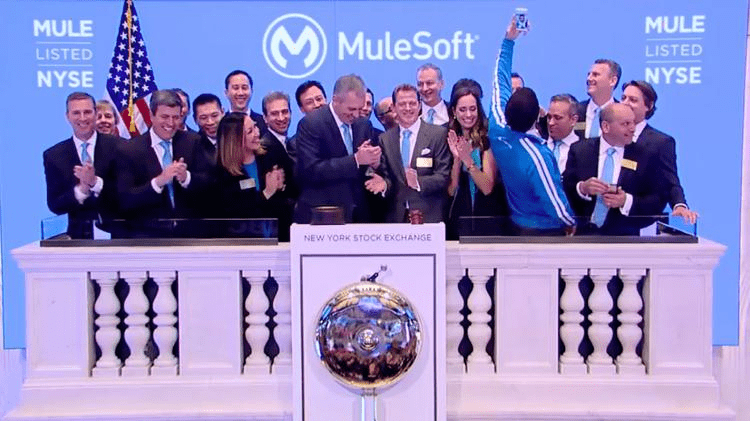 Why did you choose to come work for MuleSoft? As a designer, you either work for the agency/freelance side or you work in-house. Both have their strengths and weaknesses. After art school, I was excited to land work for some of the most recognized retail brands in the Bay Area, including Gap, Williams Sonoma, and Kodak. I soon found out that working for a big brand with established guidelines is great…if you want a cush 9-5 job with no creative autonomy. I was young and hungry, so that kind of environment just wasn’t for me. The ad agencies I worked at were also unsatisfying. The work pace and the level of creativity around me were great, but I was missing the ability to understand how my work was making an impact. It felt superficial to move from one project to another without getting the chance to nurture the brands I was designing for. When I got a call from Mahau Ma, VP of Corporate Strategy, in 2008, he said I’d have the opportunity to grow a brand from the ground up. Even though I had no idea what the heck an Enterprise Service Bus (ESB) was, I felt like working at MuleSoft is my calling. Since then, I’ve been blessed with the opportunity to create an amazing brand identity and build a talented design team to support my vision. How did you get to become a Creative Director? I come from a family of designers and architects, so I guess you could say it’s in my DNA. I got my first job at an ad agency in high school, answering phones and watering plants. But soon enough I was participating in focus groups and getting hands on with design applications and building comps for pretty big clients. The pace and creative output were contagious to me––especially at such a young age. I knew then that I had to pursue a career in advertising. What is the most interesting problem you’re working on solving right now? A lot of what we’re doing on the Creative Team right now revolves around scale. We’re a pretty small design team relative to the size of the company, so we have to figure out ways to enable the rest of the organization, while maintaining the high quality of the work we do. It’s both a fun and challenging process. What’s really cool is that everyone has a lot of respect for our brand, so I definitely get the support I need. What is your favorite thing about working on the Corporate Marketing team at MuleSoft? The fact that we get to work on such a wide variety of projects––from designing billboards and supporting large-scale events like CONNECT to marketing on our web and digital channels. The work we do makes an impact, and hundreds of thousands of prospects consume it every month. The fact that we can influence whether a world-class organization wants to buy our products, or whether a candidate wants to make the life-changing decision to work with us is a terrifying thing to think about; but, at the same time, it is also a thrilling and motivating challenge. It’s this challenge that drives us to do the best work we can every day! Take us through a typical day in the life. I usually start my day with a good old-fashioned outdoor run. It’s the quiet time when the world is asleep and allows me the space I need to listen to my sub-conscience. This is often when my best ideas surface. The chaos starts after my run. I get the kids up and ready for school and bolt to the train station. My commute is about an hour, which gives me some time to listen to design podcasts, catch up on emails and get a head start on my work day. In the office, I spend my time reviewing project requests, approving design comps, scouring Dribbble for inspiration, interviewing designers, and laughing with my colleagues… but not always in that order! What 3 things are always on your desk and why? Lots and lots of plain white paper. You never know when the urge to sketch will strike. Often, I’ll be brainstorming a concept with someone and it will quickly turn into a visual conversation. My Pantone fan. I’m kind of obsessed with color-matching. What teams do you work with most, and how do you collaborate? I’d say I work most closely with the marketing team. But, really, I interact with folks all over the company and even in other offices. That’s what makes MuleSoft so great. I love hearing how teams all over the world are solving everyday problems and figuring out how I can help them. I don’t do much hands-on design anymore, especially now that I manage a team. So when I’m outside of the office, I really enjoy making things with my hands. I would describe myself as a practical designer––I love to make things that are beautiful, but also highly useful. It’s less of a need to express myself, but more of a need to help others. 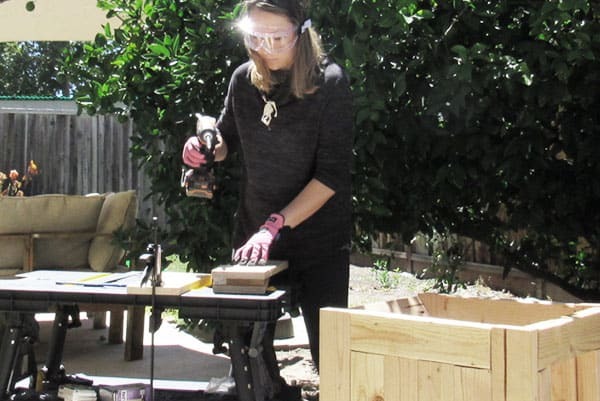 When I’m not producing stop-motion films with my kids, I love designing and building furniture. I also love being creative in the kitchen and experimenting with unique ingredients. What is your proudest accomplishment in your role here so far? That’s a tough one! I’m proud of so much, but I’d have to say it was pretty early on when I was a Web Designer and introduced UX into our practice. It basically came from the frustration of not getting people to agree on visual designs, which is such a subjective thing. User testing on our website and products made it really hard to argue with the data. It also opened our eyes to some really critical things we needed to work on. These days, I’m really proud of the work my team does, particularly when we all come together to work on a big campaign. The designers on my team are all just so talented and self-sufficient, and we have a lot of fun on-set together. 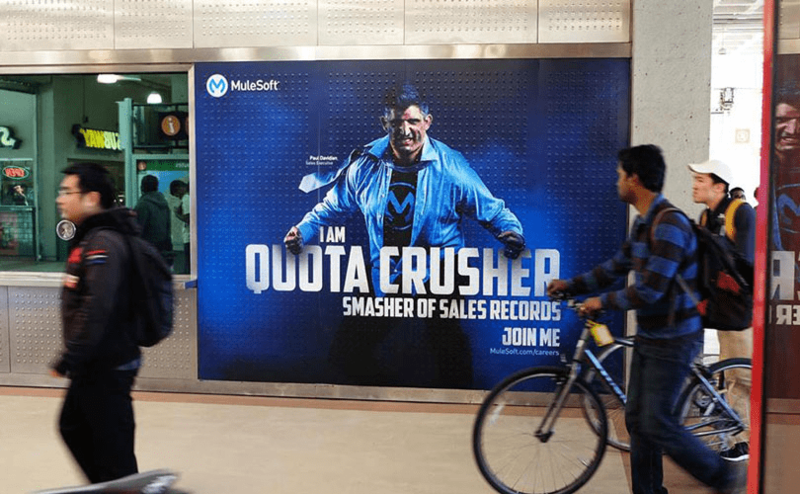 Most recently, we worked on a recruiting campaign where we transformed our employees into superheroes and plastered them all over the 4th & King Caltrain station. We were really scrappy about the way we did this. We rented a fog machine, made our own costumes and photographed our co-workers on the 3rd floor of our building. As a result of this project, we increased traffic to our careers site and were featured in a LinkedIn article. I’m really proud to say that we get to do all of the fun stuff most companies would typically hand-off to an agency; what we do is so creative and fulfilling. This year’s IPO was also tremendously rewarding. I felt proud in the sense that the company I helped nurture from infancy was finally graduating and entering the real world. It’s such a rare event to be a part of, and I’m truly humbled to have experienced something so amazing. What is the latest technology you’ve learned to use? I built our swag store one weekend after realizing the swag closet we were using in the SF office wasn’t gonna scale. I used Shopify on the front-end and Printfection on the back-end as a fulfillment service. So far it’s been doing its job! Love what you heard? Check out our career page for open positions and see what it takes to be a part of the Creative team!